In this post, we ranked the 5 best-selling frozen meatball brands. Scroll down to check out our list! 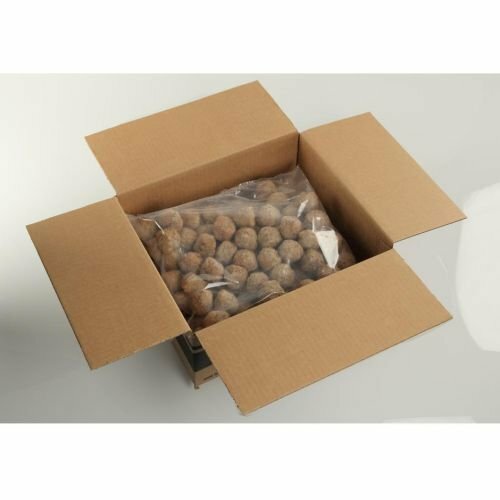 Frozen meatballs are meatballs frozen and packaged to be sold at grocery stores. Freezing the meat helps keep it fresher longer. While this food provides an excellent source of protein, the high-calorie content and high fat make them a once in a while type of food (Source). 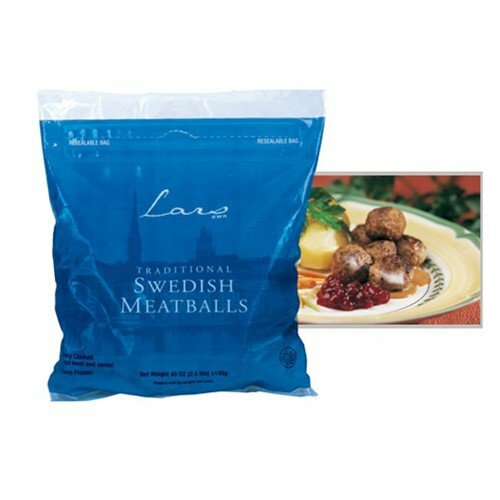 Most traditional frozen meatball products need only to be heated in the microwave or in the oven as they’ve been fully cooked. Some people prefer to boil them or use them in a crockpot. Meatballs are a favorite among many people, and they aren’t just for spaghetti either. Some people enjoy meatballs as part of a healthy sub sandwich, while others put them in the slow cooker. You can even serve them with a homemade barbecue sauce over noodles or with vegetables (Source). 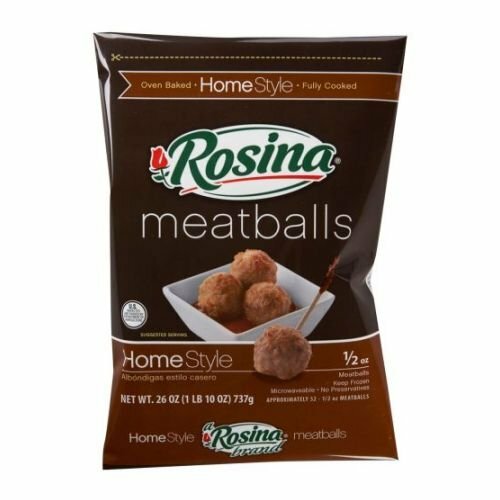 Rosina Home Style Meatball, 26 Ounce - 8 per case. Bonici Mid Tier Fully Cooked Oven Roasted Italian Style Pork and Beef Meatball, 1 Ounce - 1 each. Here, we look at and compare five favorite meatball products that you can keep on hand for when you want to spice up your next meal, or need something tasty in a pinch. The 13 oz. Marie Callender Swedish meatball and noodle dish is a perfect entree that cooks in the microwave in no time. This meal features a creamy sauce that’s made with real sour cream. Although you wouldn’t want to eat this every day due to it being high in calories, it’s tasty enough to enjoy once in a while when you want to indulge. Stouffer’s makes a great Swedish meatball dish. This meal comes in an 11.5 oz. package. The meatballs are cooked with freshly made fettuccini and parsley with a sour cream sauce. Prepare this in the microwave, and like the previous dish, this one is also higher in calories and fat, making it a meal you occasionally enjoy. Shelton’s turkey meatballs come in a 10 oz. pack and are fully cooked; they only need heating in the microwave or oven. What sets this company apart from many others is their commitment to using GMO-free, organically certified, and locally sourced ingredients when possible. While some users liked the taste, others complained about them having a rubbery texture. The Farm Rich Italian style meatballs are made from ground beef and pork. They are fully cooked and ready to be heated in the oven or microwave. Their unique blend of authentic Italian seasonings makes this one of the favorites with consumers. They’re perfect as a snack or as part of your main course. The last product we looked at is the 24 oz. Johnsonville Homestyle meatballs. Like the others we looked at, these meatballs are fully cooked and only need heating in the oven, microwave or crock. 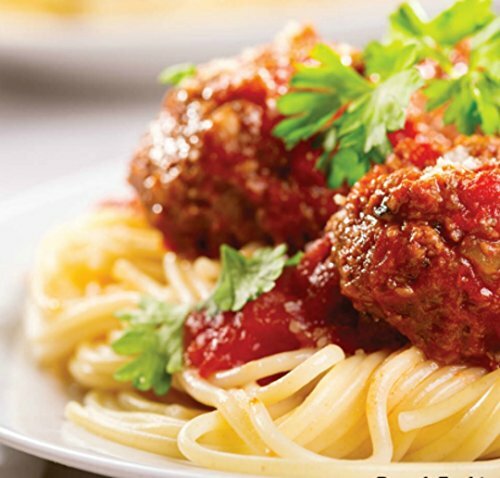 Consumers rated these meatballs high for their taste and flavor. Many said the seasoning made them an ideal choice for a variety of meals such as chili, spaghetti, or as a pizza topping (Source). These frozen meatballs offered by Johnsonville are delicious, easy to prepare, and an excellent choice if you are wondering how to surprise the children. Users love the texture, but some do note that they have a slight rubber taste. The Johnsonville home-style meal is mainly made of pork, water, and bread crumbs with no artificial flavors or coloring, and they come in a package of 24 oz. Another great thing about this product is that the manufacturer uses premium cuts of meat and there is no MSG added. What’s more, you can find instructions on how to prepare the balls on the back of the package if you are looking for interesting ideas or recipes. As a whole, users love Johnsonville home-style balls, and they highly recommend them. A reviewer comments that she had low expectations when she bought the package, but she was pleasantly surprised. The user adds that her whole family enjoyed the dinner immensely and that the dish tastes as if it’s homemade. Another buyer mentions that the Johnsonville’s product is the best and advises that you should cook the balls in sauce. A purchaser also shares that they get ready fast if you pop them in the microwave and that they are also great with gravy. However, one customer complains that they taste like uncooked chicken and that he would not recommend them. Another user also notes that they have a bad aftertaste. If you are thinking about organizing an Italian night for your guests, you might consider these Italian style meatballs offered by Farm Rich as part of the main course. Users love that the balls are easy to prepare, but some do note that they are bigger than expected. The Farm Rich dish is made from hearty ground beef and savory pork, and it’s seasoned with original Italian seasoning. Another great thing about this product is that it’s fully cooked so that you can pop it in the microwave and have them ready in minutes. However, the manufacturer advises that you cook it up to an internal temperature of 165°F. A reviewer comments that these are the best frozen meatballs that he has ever tried and that they are moist and delicious. He adds that they are ideal for a mini snack and that they are the perfect size if you want to surprise your guest with appetizers. Another user says that he has bought Farm Rich’s products a couple of times and that they go well with pasta and sauce. A purchaser also comments that he likes the low-calorie count and that she was pleasantly surprised by the texture and the taste. However, a couple of customers have noted that there are hard chunks of bones in every meatball they tried and that they were difficult to chew. Are you in the mood for something hot and tasty? Then you might take these frozen meatballs offered by Shelton’s into account. Users love the price, but some do note that they don’t like the texture. The Shelton’s turkey balls are GMO-free with no artificial ingredients, flavors, or colors. They are made mainly from dark turkey meat with a calorie count of 180 per serving. Another great thing about this product is that you can cook it the microwave or in the over, and you can also let it simmer in sauce for 25 minutes. 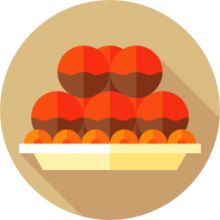 As a whole, users have a negative opinion of Shelton’s turkey balls, and they are not satisfied with its taste. A buyer comments that the meatballs remained hard even after cooking them in sauce and that they tasted horrible. He adds that he tried a few different recipes with no improvement and that he would not recommend it. Another user mentions that the product is too dense and that they taste like rubber when you take a bite. A customer also states that Shelton’s frozen meatballs are not good enough and that he would not be buying again. On the other hand, a happy reviewer says that his daughter loves them and that he finds them to be delicious. 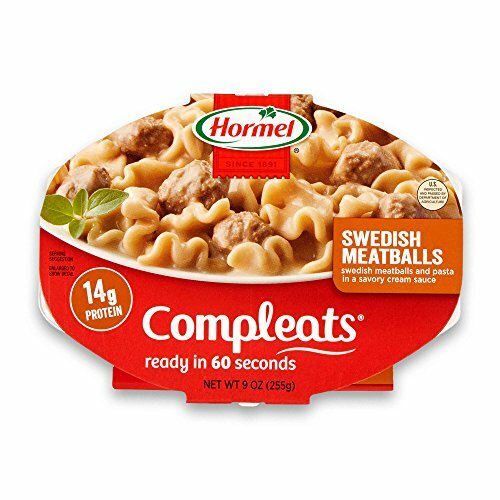 These classic Swedish meatballs offered by Stouffer’s are delicious, well-prepared, and an excellent choice if you want a quick, hot meal. Users love the home-made taste, but some do note it’s not what they expected. The Stouffer’s product is made of meaty balls and fettuccine with parsley combined with a sour cream sauce so that you can enjoy a mouth-watering, freshly made paste for dinner. Another great thing about this product is that it contains no preservatives, but it has milk, soy, and wheat so be careful if you are allergic to any of these. A serving contains 510 calories (326 g). In general, users have a high opinion of the Stouffer’s product, and they highly recommend it as one of the best frozen meatballs. They don’t have any major complaints, and they agree that it’s perfect if you want a “home-made” meal. A reviewer comments that it tastes even better if you add extra sour cream and that it gets ready quickly in the microwave. Another user also mentions that the taste is very close to what he remembers as a child. He shares that Stouffer’s products have turned into his favorite fast food and that he buys them regularly. A customer also says that he usually doesn’t go for fast food, but he makes an exception when it comes to Stouffer’s brand. These Swedish meatballs offered by Marie Callender’s well-cooked, soft, and an excellent choice for lunch or dinner. Users love the taste, but some do note that it’s too bland for their liking. The Marie Callender’s dish is made of delicious meat in combination with tender egg noodles in a rich, creamy sauce. Another great thing about this product is that you can toss it in the microwave or the oven and get to enjoy a hot, tasty meal in minutes with minimum efforts. What’s more, it’s made with real sour cream, and it has no artificial flavors or ingredients. A single serving contains 430 calories and 0 g trans fats. A reviewer comments that Marie Callender’s meal is one of her favorite ones and that she has never been disappointed with the taste. She adds that the balls have the texture of real meat and that the egg noodle is perfectly cooked. Another user shares that the meal is tender and delicious and that the size is perfect to satisfy your hunger. A buyer also states that Marie Callender’s dishes are the best and that the taste is very close to that of home-made meals. However, a couple of customers have complained that the sauce has no flavor at all and that it’s a chore to eat even one portion. Some also complain that there are hard chucks in the balls and that you could chip a tooth. Over in the cooking section of Reddit, out one person’s listed advice for the community’s best store bought frozen meatball recommendations for 2016, 2017 & 2018. He says that, typically, he’ll make his own from scratch, but because he has a busy work week, he thought he would make the sauce in advance and then just defrost some for convenience’s sake. One person recommended Trader Joe’s appetizers – saying that their food products are always high quality. Another person suggested trying out a local butcher or grocery store I’ve been saying that pre-made, pre-packaged options usually don’t taste as good and have a ton of extra preservatives and additives. The original poster responded saying that he definitely agreed- most of the pre-made, organic appetizer options were not that tasty and he was hoping someone has discovered the Holy Grail of frozen meatballs. Over in the eat cheap and healthy section of Reddit, one individual was building out his grocery list for the work week and said that there was a buy one get one deal at his local supermarket for store-bought, gluten-free meatballs. He was looking for some tasty suggestions for cocktail meatball recipes aside from dumping them into a traditional spaghetti. One person said that if you want to make a quick and easy pre-packaged snack, just heat them up and add some mustard. Sometimes they even add some mushroom gravy on to it with mashed potatoes. It’s also a quick lunch that you can make it work to get some protein in. Another poster had a more detailed recipe, recommending to bake them, quarter slice them, fried meatball quarters in a skillet with some oil and then add in the following seasonings call and chili powder, coriander, cinnamon. Another novel idea was to make some sweet and sour precooked meatballs. This user said that he’s heard of people using barbecue sauce mixed with grape jelly, though he says that a traditional family recipe in his household calls for Heinz chili sauce mixed with whole berry cranberry sauce. Something a bit healthier was suggested by a user who also buys packets of frozen vegetables and defrost them to serve alongside the mini meat. A first-time InstantPot user on Reddit asked about cooking Ikea frozen, pre-packaged chicken meatballs inside of a 6-quart slow-cooker. One user suggested cooking them for 10 minutes on high hyphen and because they are pre-cooked you shouldn’t have to worry about the meat being undercooked. Another poster who has a website dedicated to home pressure cooking says that in their experience it’s best to use a steamer basket, supplementing with water in the pot, and using the high-pressure manual setting for a little over 10 minutes. You can also do the same in the pot with a sauce and cooking it on high-pressure manual for the same amount of time I’ve been creating a hot and enjoyable, ready-made meal. Another poster criticize the quality of Ikea meatballs, complaining that the chicken ones are just not high-quality anymore, they say that the beef ones used to be decent but in his experience, they have recently been loaded up with filler material and just aren’t as good as they used to be. The website Delish also provided a rundown of some popular brands including FarmRich, Stouffers Korean BBQ, Butterball Natural Inspirations, 365 Organic Meatless, Ball Park Beef & Bacon, Johnsonville Classic Italian, Butterball Turkey, Gardein Meatless, Stouffers Swedish, Quorn Meat-Free, Great Value, Lean Cuisine, HealthyChoice, Cooked Perfect Bite-Size, Smart Ones, Sam’s Choice, Marie Callender’s Frozen Dinners, Cooked Perfect Angus, Boston Market Swedish, Michael Angelo’s. Over in the Reddit slow cooking forum, a user solicited recipes for pre-packaged, frozen meatballs. One of the top recommendations came from a user who said that you all you need to do is combine Sriracha, barbecue sauce and grape jelly, cooking it on high for 3 to 4 hours, to have a delicious meal. Another user suggested just adding a couple jars of pasta sauce into your slow cooker, supplement with meatballs at your own discretion, and cook it on low for at least 6 hours. When the last hour arrives, adding some dry pasta of your preference like angel hair or penne and allow the meat to cook in the sauce. One caveat is that if the sauce ends up being really thick, you may want to dilute it with some water. Another user had the unique problem having way too many frozen meatballs. He was looking to do a large cook to get rid of them. The top response came from the user who suggested pan-frying them, supplementing with some honey garlic sauce and then serving it over rice. You also said And the easy solution is to follow them and then just make shish kabobs. Another interesting suggestion was to turn them into a soup – they suggested using a salty, spicy chicken broth with lots of chopped up vegetables.